I am always up to travel. I love going to new places to explore new things and get out of our comfort zone. We moved about every 5-8 years when I was growing up, and we traveled a good bit to see family and to go to different places. This past year we had the opportunity to go to Alaska, Pittsburgh, Kiawah Island, Asheville, and now St. Louis! I was actually born in St. Louis, Missouri and my parents both grew up across the river in a small town in Illinois. They both went to the same high school but started dating years later. When I was five, my dad was transferred to Pennsylvania because of his job. I don't remember much about living in St. Louis, but I always enjoy going back to see family. I hadn't been back since Christmas in 2014, so a visit was long overdue. 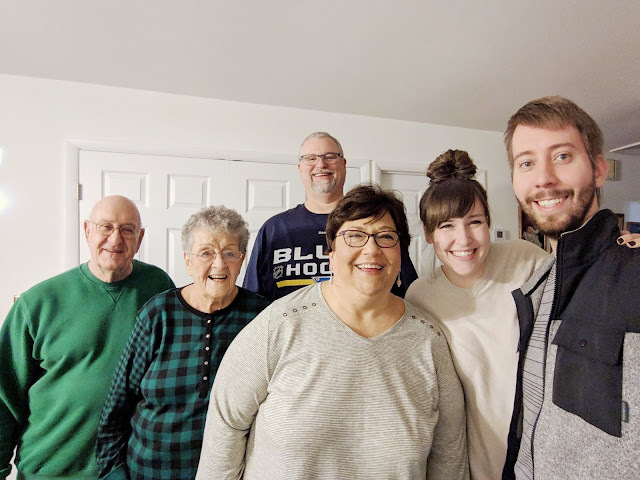 We left on Christmas day to visit my grandparents that live across the river from St. Louis in Illinois! 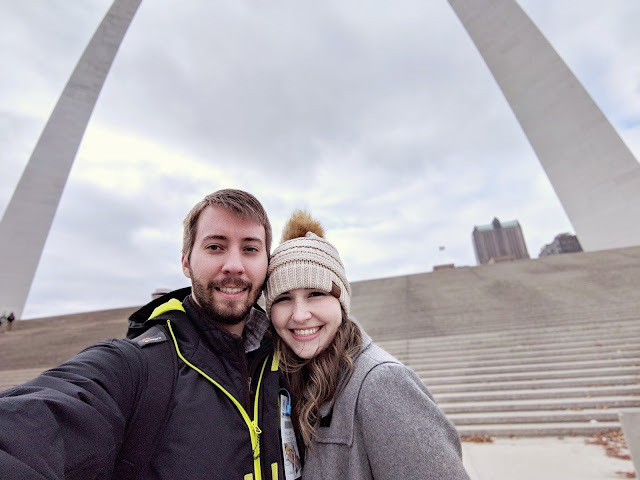 While our trip was mostly focused around spending time with our family, we did take the time to visit a few fun places despite the very chilly weather! My husband is a landscape photographer, so we definitely had to visit the arch while we were there. 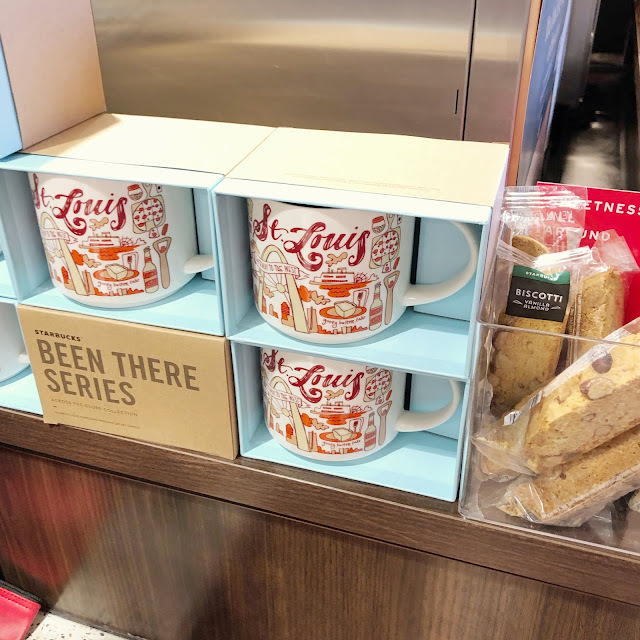 I, of course, had to pick up one of these super cute Starbucks "Been There Series" mugs! I'd been up in the arch before, but that was so long ago. You really don't realize how huge it is until you get up nice and close! It's truly amazing, and I've you've never been, it's worth the visit! My parents took us to a few local sites around their hometown in Illinois as well, including a statue of Robert Wadlow, the tallest man who is from the same area they grew up in. It was great to see my grandparents and to have a Christmas dinner with them and spend some time with them and our other family! All in all, it was a great trip, and it was fun to add another destination to the places we visited in 2018! Hey there! 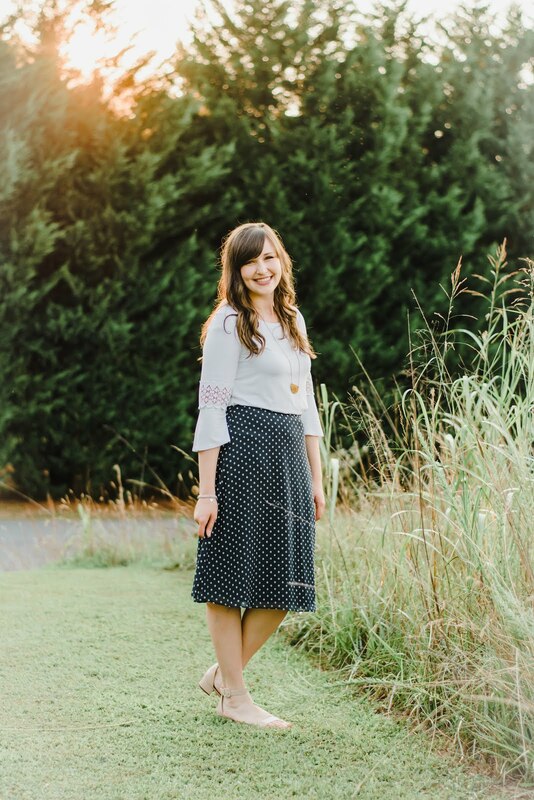 I'm Emily, a wife, makeup enthusiast, and fashion fanatic, working to maintain a classic southern style without breaking the bank. Follow along as I share beauty reviews, style inspiration, a little bit of home decor, and some DIYs along the way!